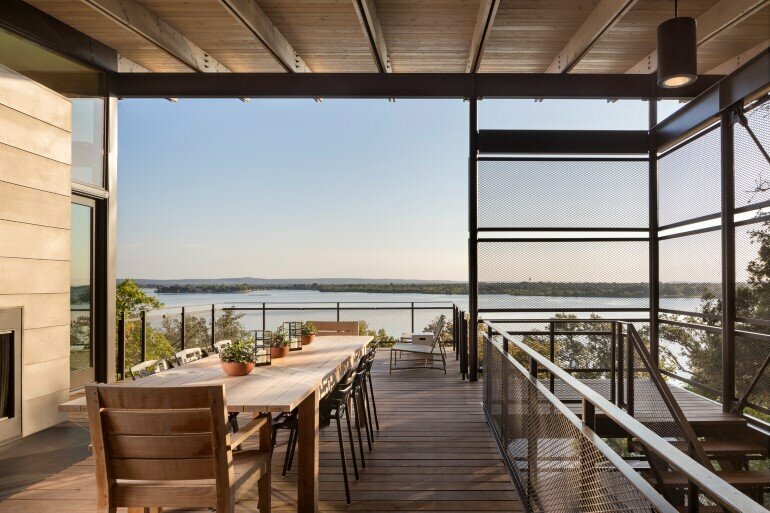 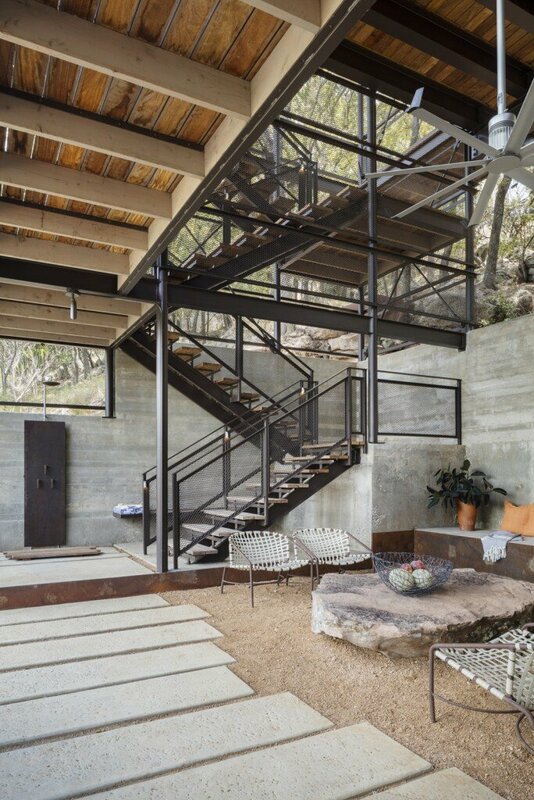 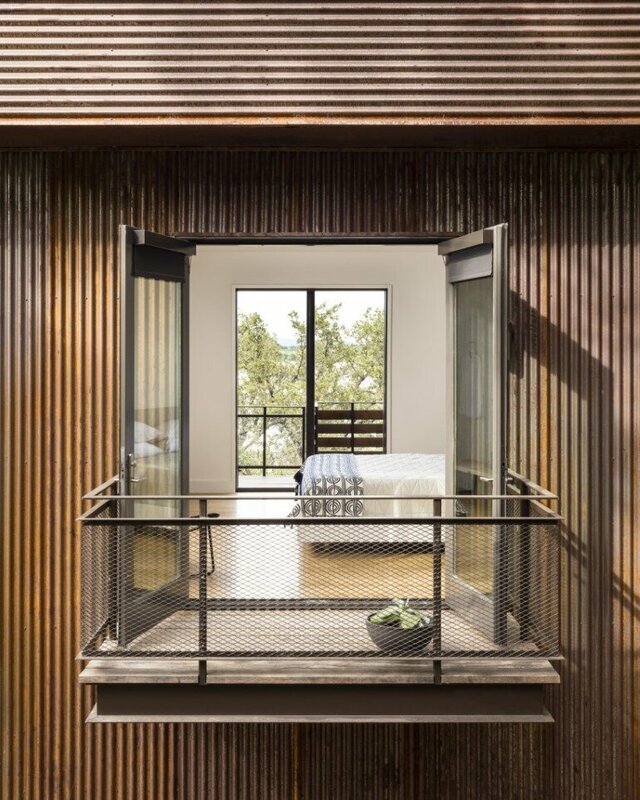 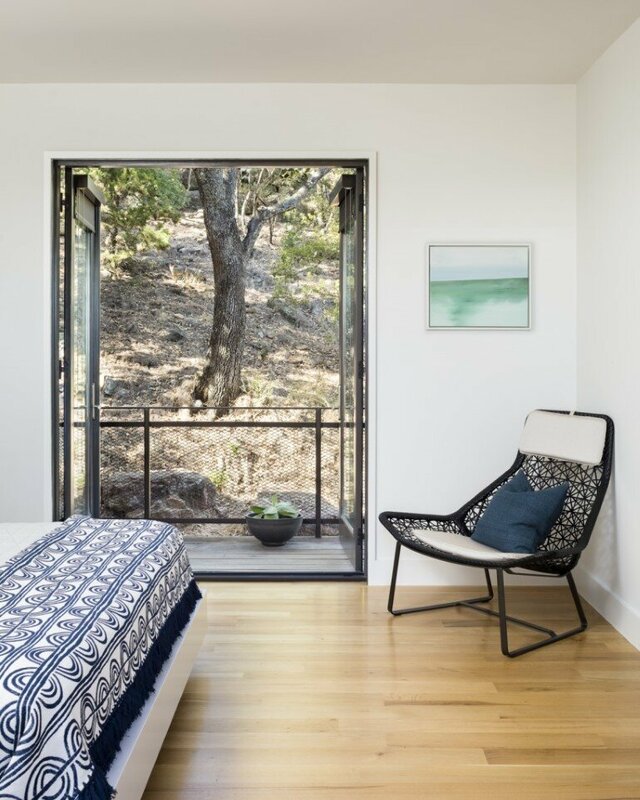 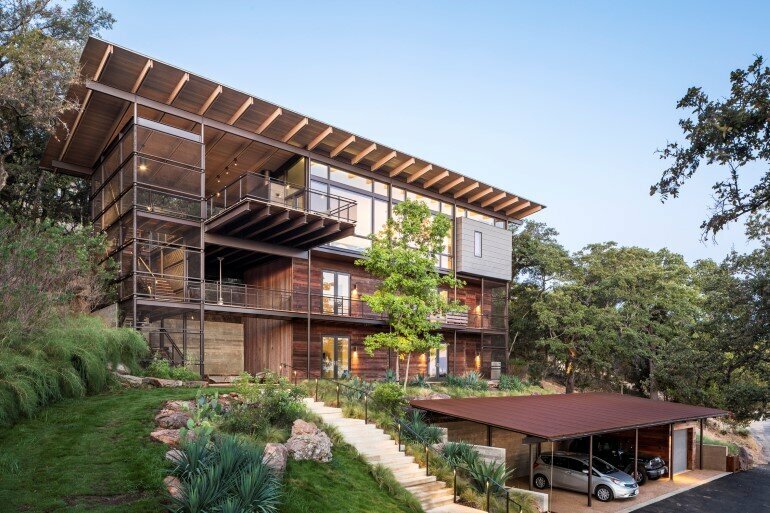 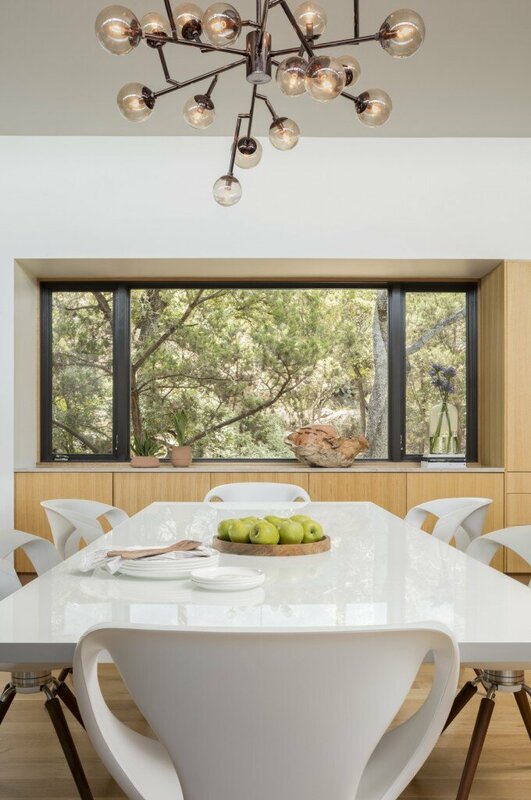 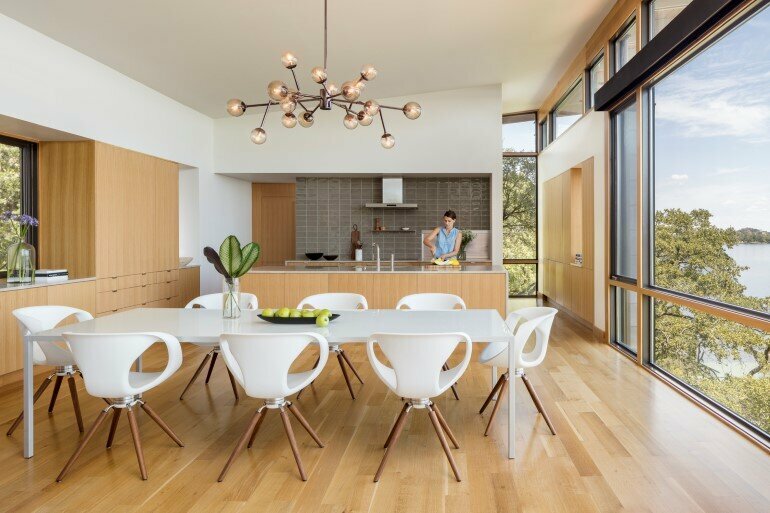 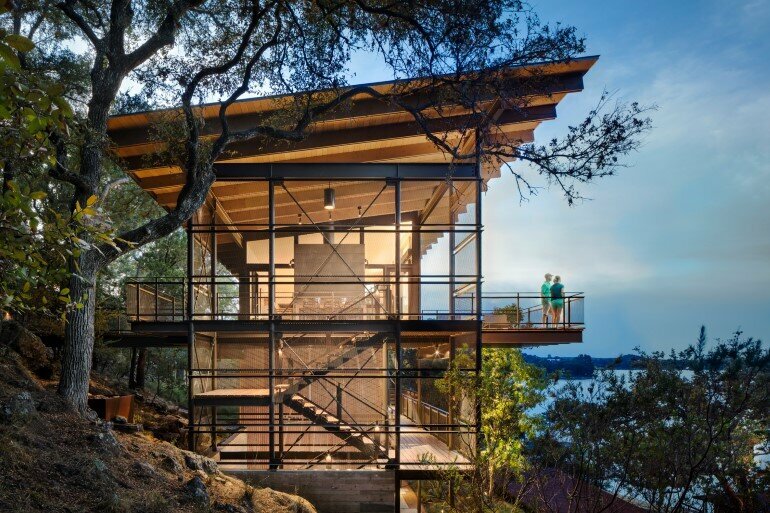 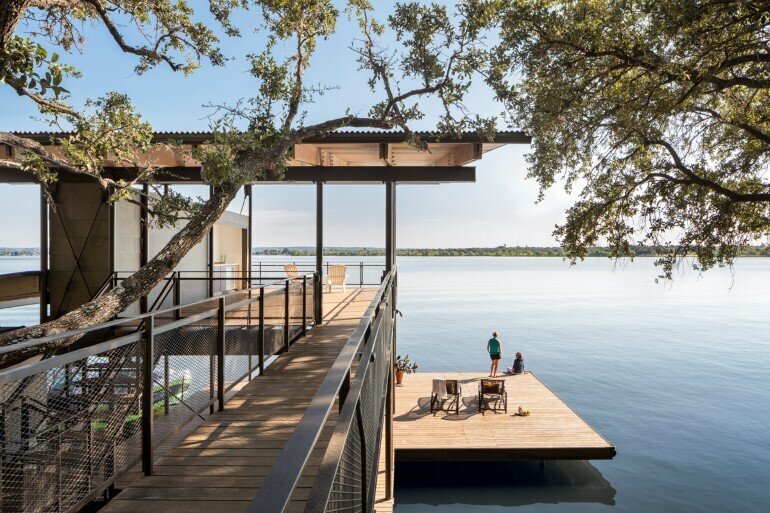 This lakeside house is a private weekend residence, called Blue Lake Retreat, designed by Lake | Flato Architects in Marble Falls, Texas. 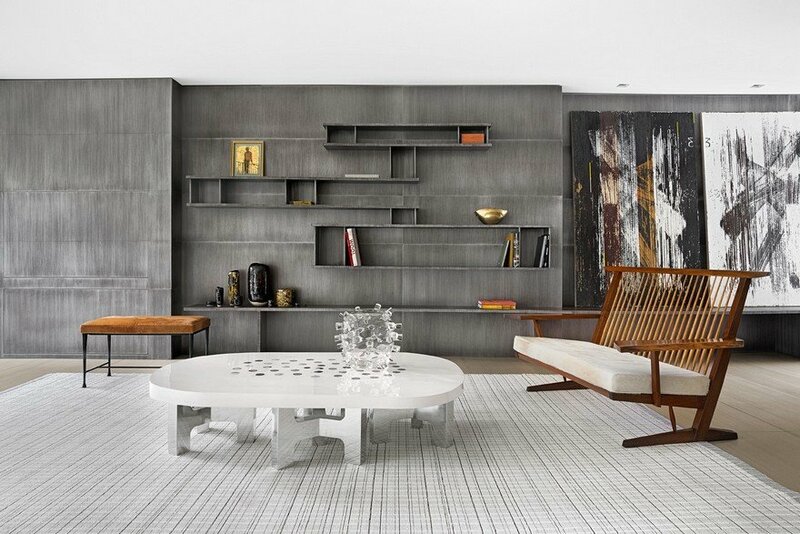 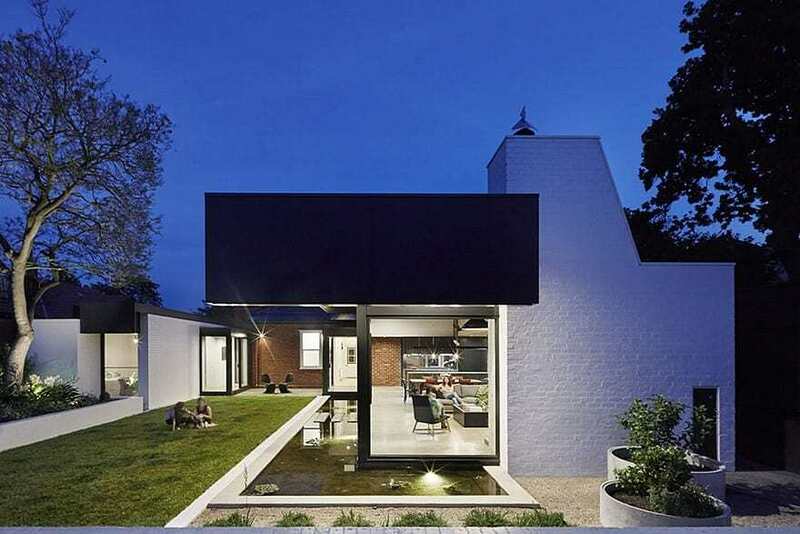 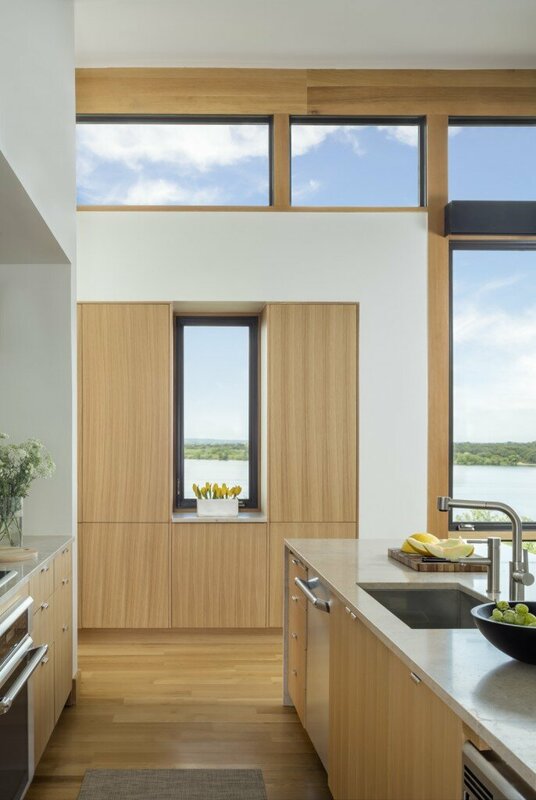 Responding initially to the site’s steeply rising topography, a vertically structured house reveals itself as the obvious design for this lake house. 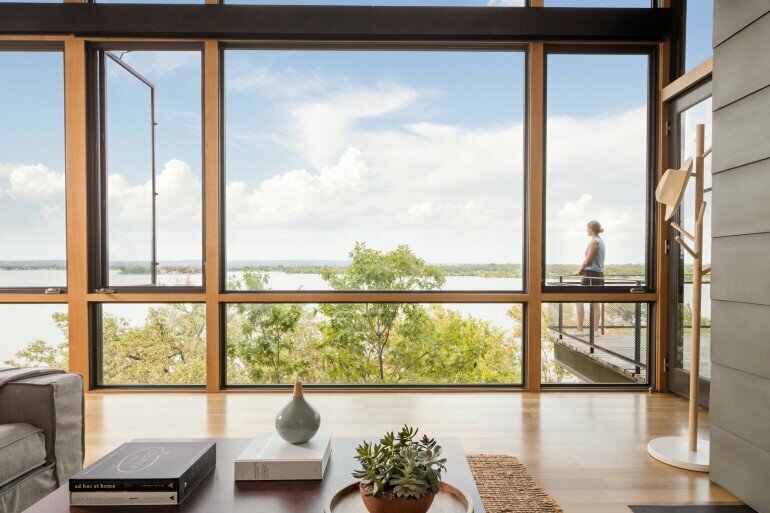 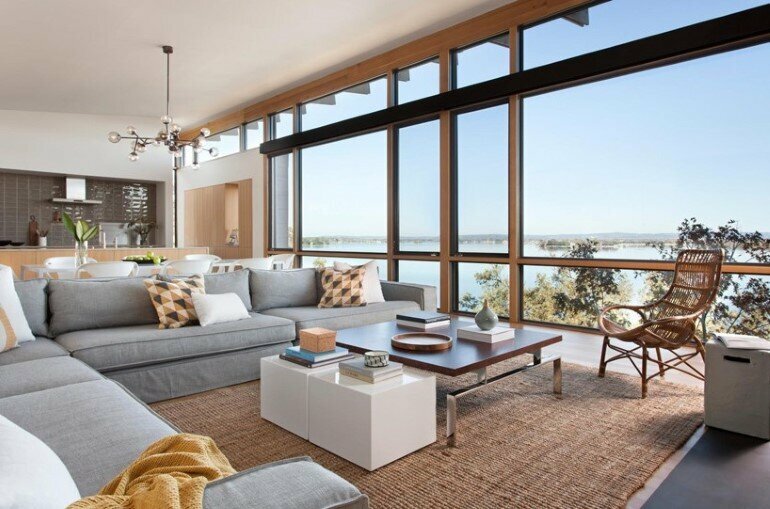 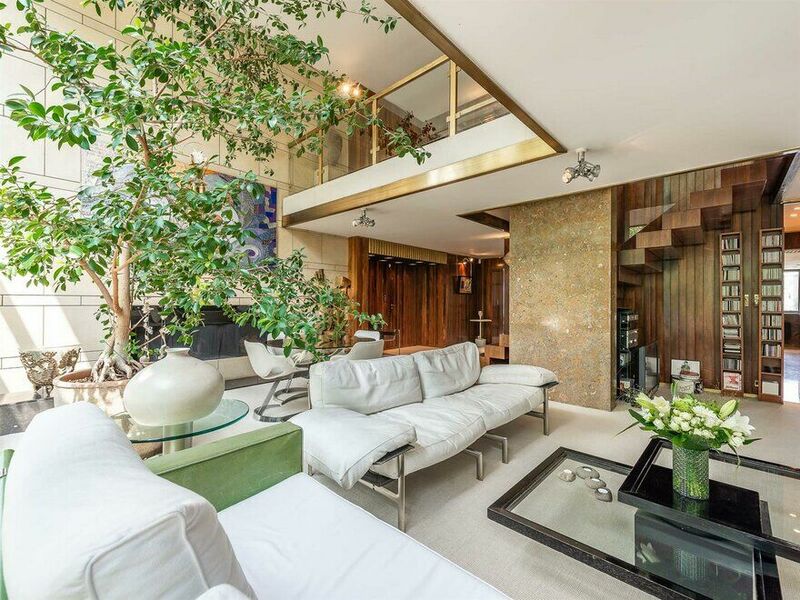 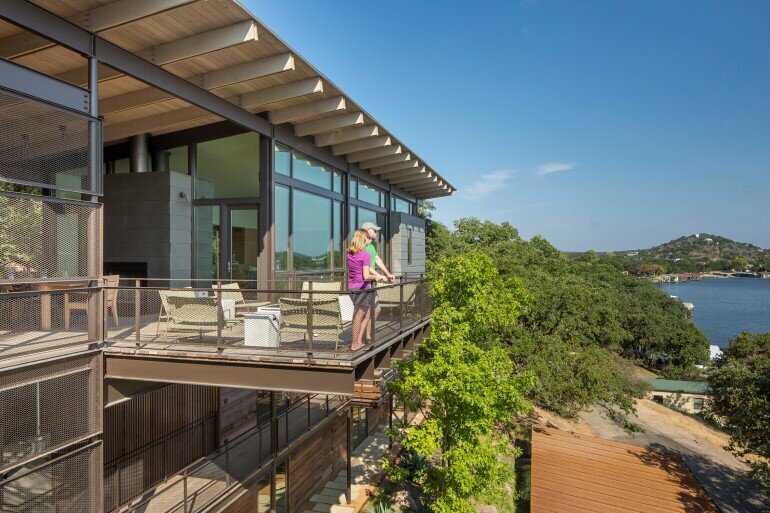 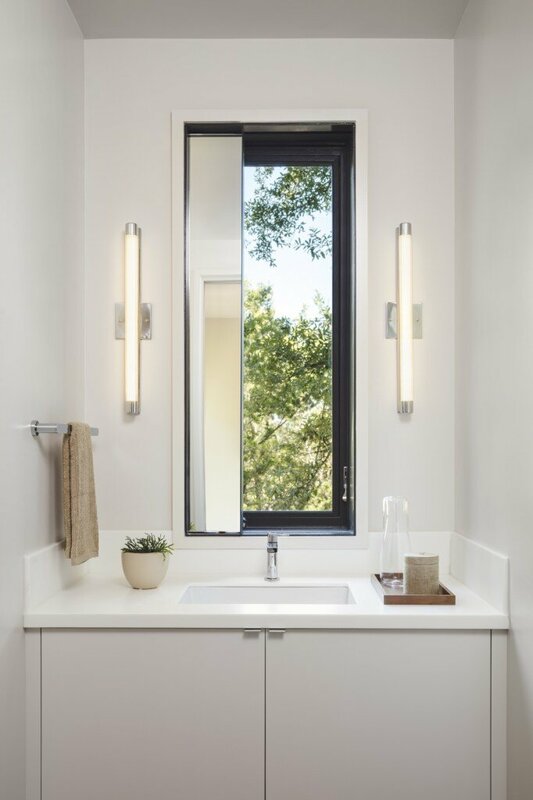 Leveraging the home’s tall stature, living spaces culminate at the top floor, set just above the tree line and providing nearly a 180 degree view of the lake beyond. 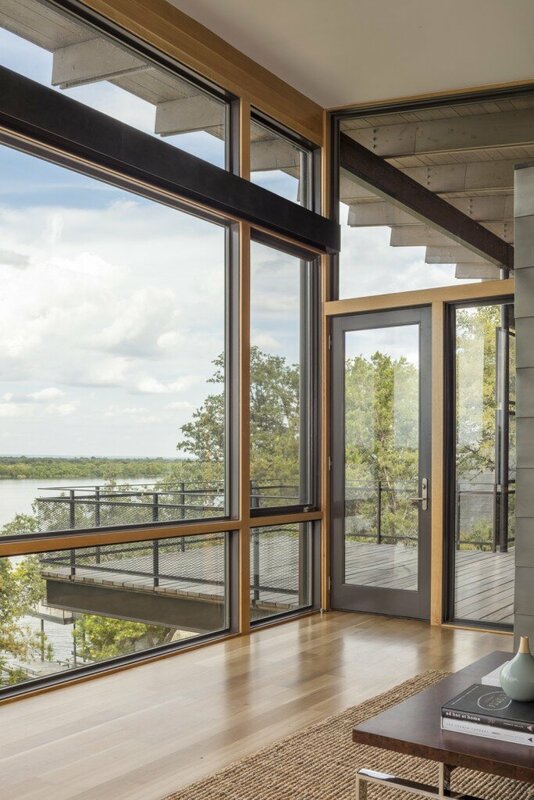 The third floor north facing glazed wall offers unobstructed views of the lake, while punched openings give glimpses of the rugged hillside behind, showcasing the counterpointed landscapes. 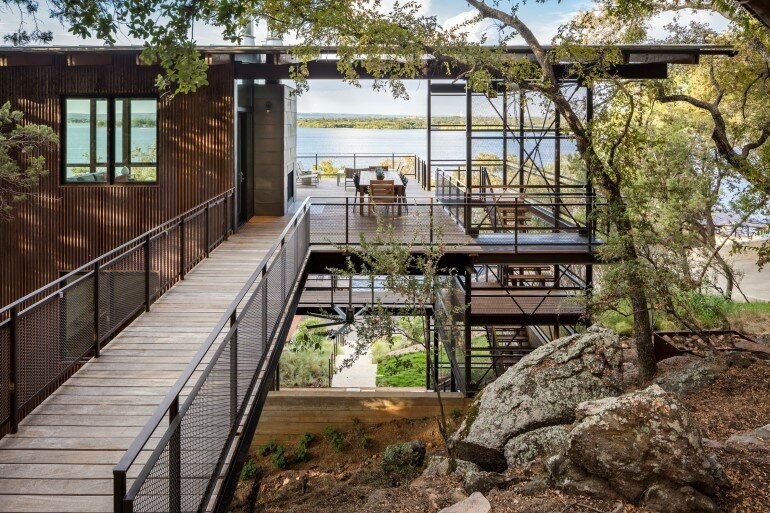 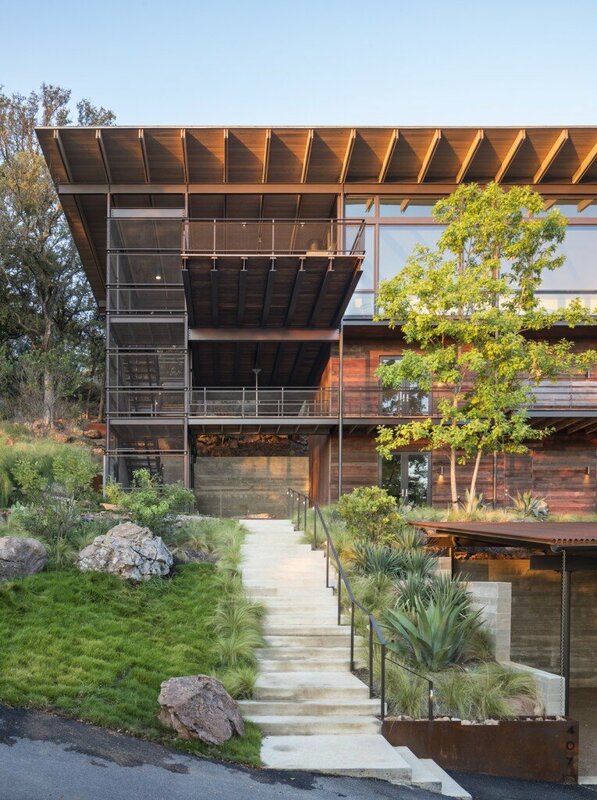 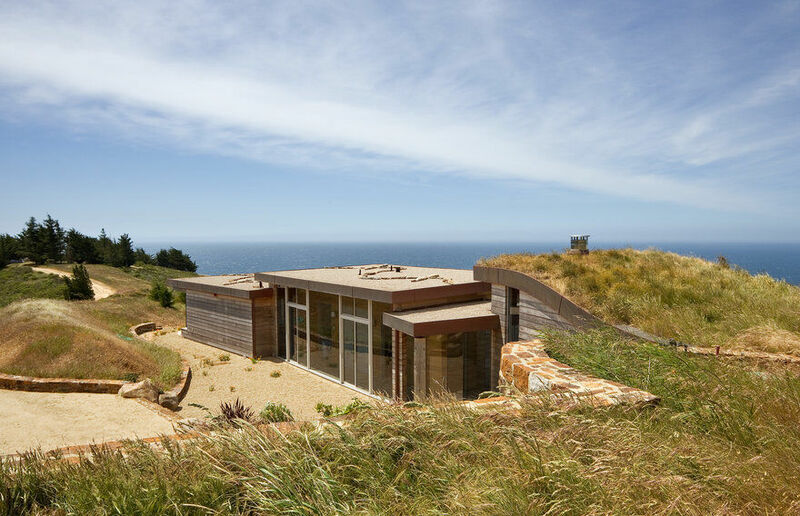 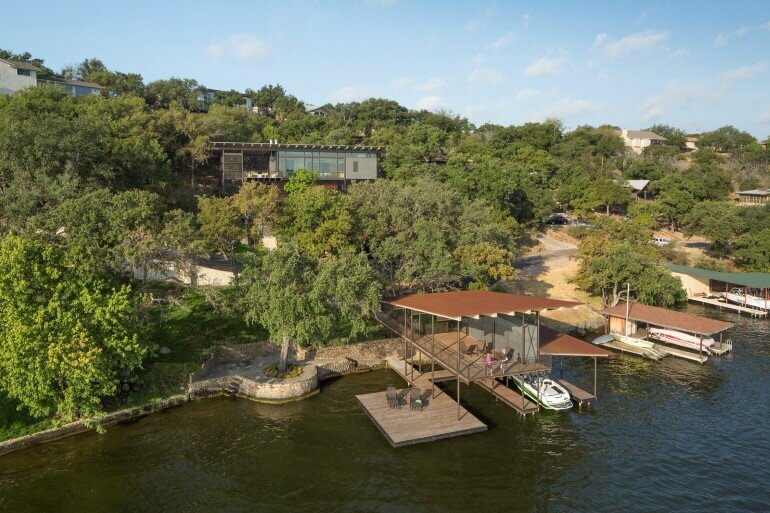 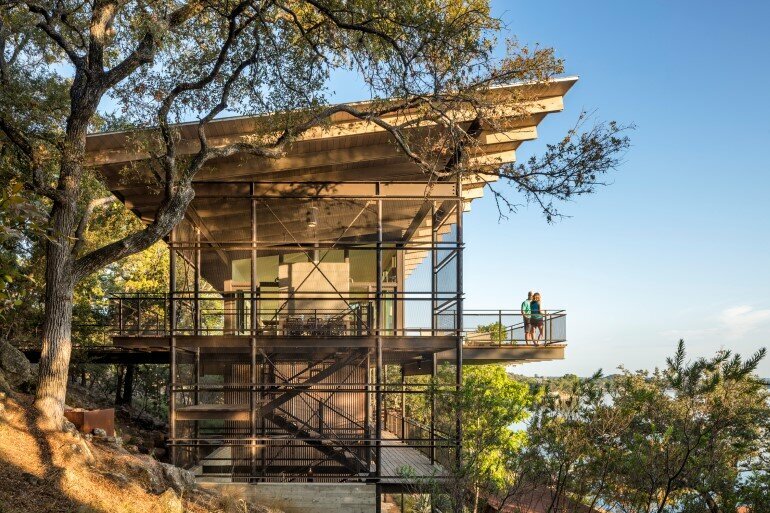 Emphasizing the site’s two uniquely juxtaposed landforms — water and rugged hillside — the third floor’s cantilevered deck reaches out toward the lake while a bridge anchors into the hillside, connecting the house to its surrounding landscape. 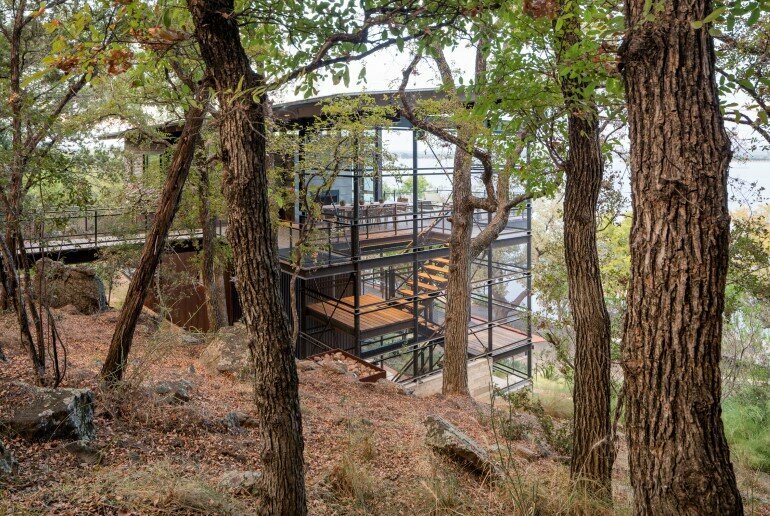 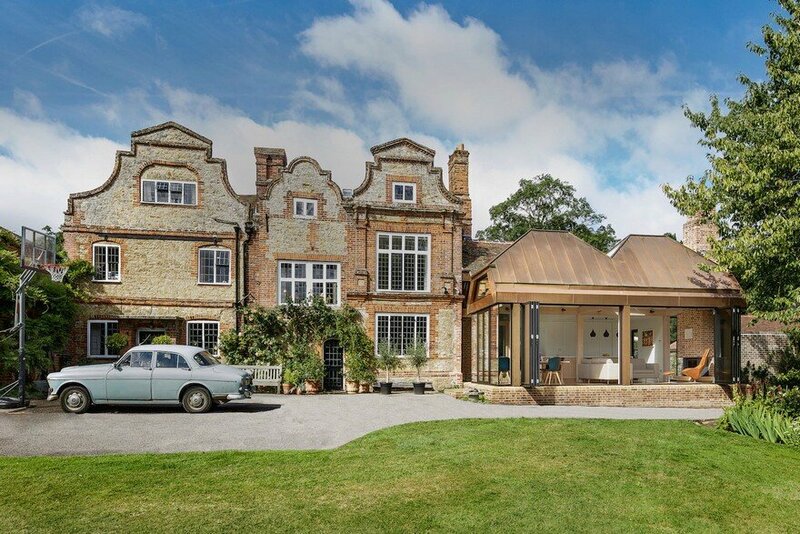 Four separate bedroom retreats are tucked below on the lower two floors. 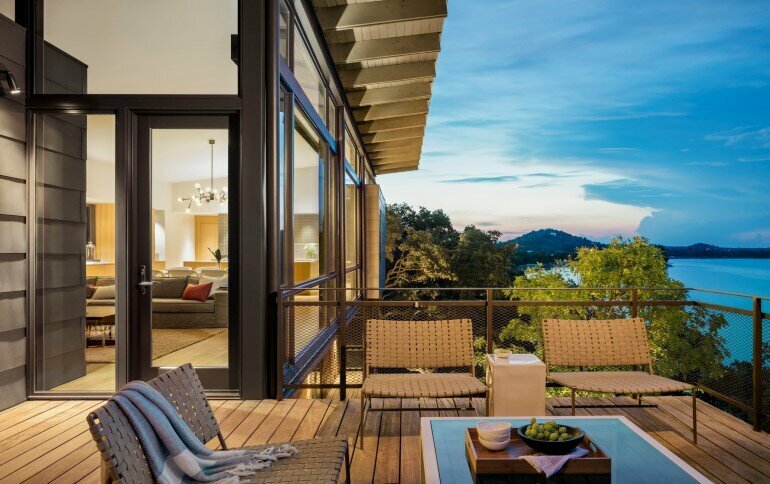 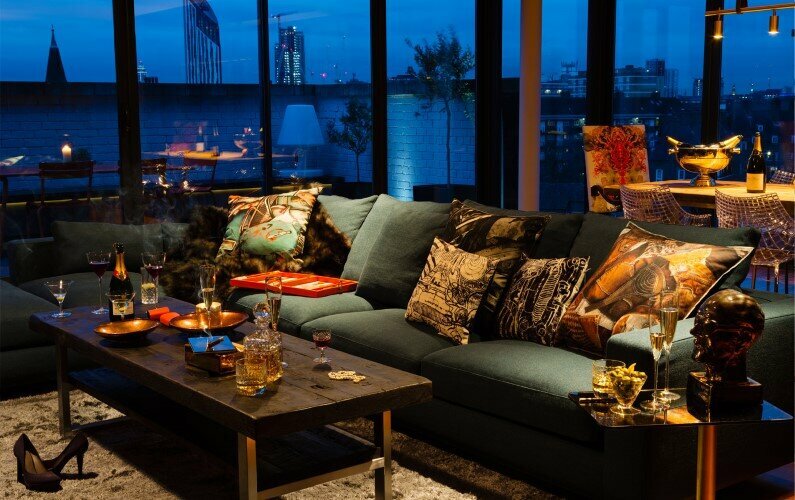 All circulation runs exterior, allowing its guests to further immersion into the outdoors and an appreciation for leaving the city behind to enjoy a weekend getaway.